One of the common emotions of people in recovery is the feeling of isolation. Those who have successfully completed rehab addiction programs in a treatment facility understand the importance of support groups, meetings and group communities in battling against isolation in addiction recovery. 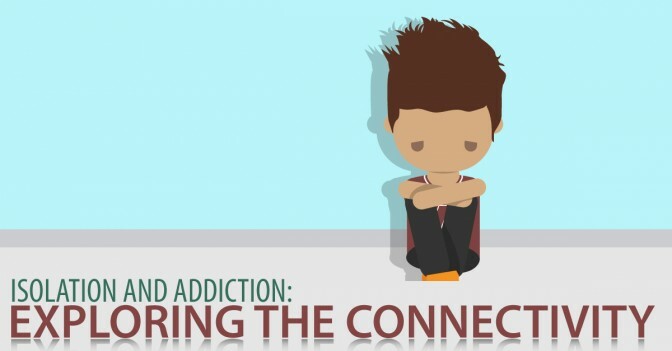 There are two common reasons for recovering addicts that leads them to feel isolated; first is because they feel guilty and ashamed of their addiction so they often choose to avoid the work that their recovery requires and second is because they want to protect themselves from people and places that threaten their sobriety. There are various things that encourage isolation in recovery and this includes resentment and hanging on to the old ideas of abusing substances such as alcohol and drugs. Addiction recovery at Alcohol Addiction Recovery Place is a community-based process. Where isolation is usually a sign of substance addiction, taking part in a group of community and engaging in rehab addiction programs is necessary to continue with the recovery process. This can be particularly difficult for the recovering substance addiction patients who felt isolated when they were abusing alcohol and drugs. Failure to get through this emotion that comes along with substance addiction usually leads to relapse. Having an understanding and warm support group or community will make the recovery process much easier for the patient. Alcohol Addiction Recovery Place says that being able to be part of support groups while in recovery means having someone to talk to all the time; so patients don’t have to hide any feeling or emotion they have. These support groups are the living testimonials that one has the ability to remain clean and maintain sobriety even after leaving the rehab regardless of the challenges the person has to face. When someone has decided to enter rehab and engage in some rehab addiction programs, it is necessary to avoid the people that the patients go with when he/she was still abusing the addictive substances. However, recovery is also the right time to reconnect with families and friends that the patient probably neglected during the times of substance abuse. It can be a family member that you haven’t talked to for a while because of substance abuse or a close friend that you have argued with because of asking you to stop your destructive habit.